This event back by popular demand is at the top of an eroding limestone hill. You would think you were at the beach, or in the desert, and yet you look across a verdant valley to the north-south expanse of East Mountain, the topographical dividing line between Litchfield and Dutchess Counties, and what once formed the eastern boundary of the Oblong, a strip of "no-man's land," and the subject of a historic boundary dispute between NY and CT. The Nature Conservancy owns the preserve, and it is open from dawn to dusk. 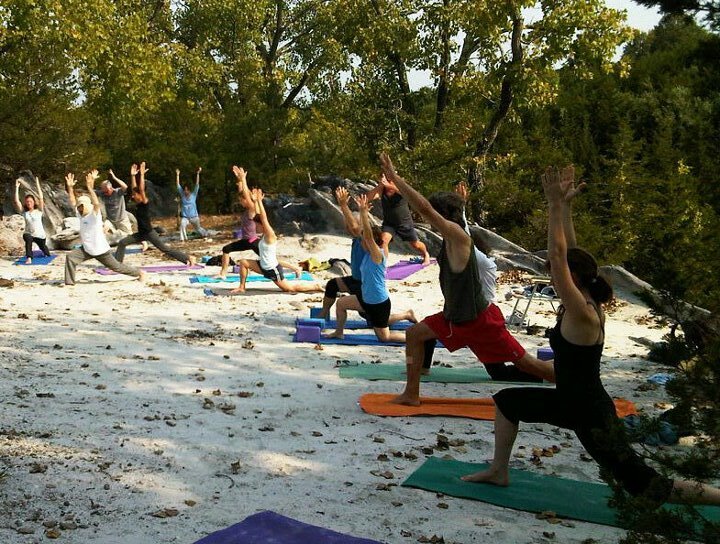 Come participate in a Yoga class, or just enjoy the space. Meet at the Roger Perry Memorial Preserve. To get there take 22 N past Wingdale; approx 5 miles past Wingdale turn right onto County Rt. 6 and travel 1.4 miles to a fork in the road with a bench. Turn sharply left at this fork onto Lime Kiln Road, and travel 1.2 miles to Sand Hill Road (it's a sharp right). Drive 0.2 miles further where you will see a small parking area on the right. Please consider donating to OLC as part of your charitable giving to support our programs and help the cause of land conservation in the Harlem Valley.